But saying no is not an option. Especially not for Phoebe Kruger, Ian’s beautiful and unexpectedly brash new attorney. Determined to see the abducted children set free, she not only gets Ian on board but insists on riding shotgun on his Mission: Impossible–style operation, whether he likes it or not. 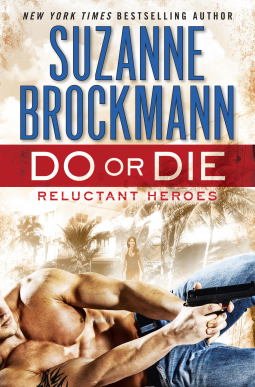 I love reading Suzanne Brockmann novels very much. She has always put a lot of effort into every character. I truly miss reading about the Troubleshooters series, however, we get to see past chaaracters in this book. I definitely enjoy reading this book from the start because Ian is just the charm and badass SEAL. I definitely love it how charming Ian can get, but he is definitely trouble when he is getting shot at. Ian is major trouble that it takes plenty of people to help him out. I won't spoil it for you, but there are some surprises that will catch you off guard. I adore Phoebe so much because she is just cute! She may be bit naive, but she definitely the girl for Ian. Plus, you will definitely enjoy the back story of the few characters. P.S. we get to see Martell funny self.